There tends to be some imprecise knowledge about Coca-Cola bottling in Chattanooga. Many think that John Thomas Lupton brought Coca-Coca bottling to Chattanooga. Actually, his participation came after the deal was done. Two Chattanooga lawyers, Joseph Whitehead and Benjamin Thomas, were the originators. In 1899 they went to Atlanta to bargain with the owner of Coke, Asa Candler. Seeing bottling as financially impractical, Candler sold the rights to the two for $1. After Thomas and Whitehead returned to Chattanooga, they realized they needed additional money. This is when Lupton came in. They sold him a one-third interest. The 1899 agreement is often called "Candler's error." Giving up bottling is only part of the error. Coca-Cola also agreed to never raise the price of the syrup unless the price of sugar increased. There is a bit of fuzziness about the site of the first Chattanooga bottling plant. A plaque in Patten Parkway says the first plant was there. However, it may not have been the very first. E.Y. Chapin said the organizers initially tried to open a plant in an abandoned pool hall on Cowart Street. That site was inadequate and a move was made to Patten Parkway. By November 1899, this plant was operating. Another myth is that Chattanooga hosted the first Coke bottler. Earlier, Joseph A. Biedenharn was bottling Coke in Mississippi but sold it only in that state. The Coca-Cola Co. and Candler knew about the operation and didn't object. In fact, Candler viewed it kindly because he excluded Mississippi in the bottling rights he sold to Thomas and Whitehead. Another source of confusion concerns who owned the Coca-Cola bottling plant in Chattanooga. Most people assume that it was owned by the trio of Thomas, Whitehead and Lupton. The 1899 Patten Parkway plant was so owned. And one would think that the plant would have continued to be owned by that trio. However, the 1899 agreement gave Thomas, Whitehead and Lupton bottling rights to most of the U.S. The trio divided the territories among themselves. The Chattanooga plant fell into Thomas' ownership. He operated it until 1901, when he sold the Chattanooga franchise to James F. Johnston of Cleveland, Tenn. This Mr. Johnston was the grandfather of Summerfield Johnston Jr., who many years later would head Coca-Cola Enterprises. James F. Johnston operated the Chattanooga franchise until 1924, when he sold it to Crawford Johnson of Birmingham. The Crawford Johnson family owned and developed a consortium of bottling franchises. The Chattanooga franchise was one of that consortium and remains under the auspices of the Birmingham company to this day. Since bottling connects Coca-Cola to Chattanooga, one might assume the bottle's shape originated here. Not so. 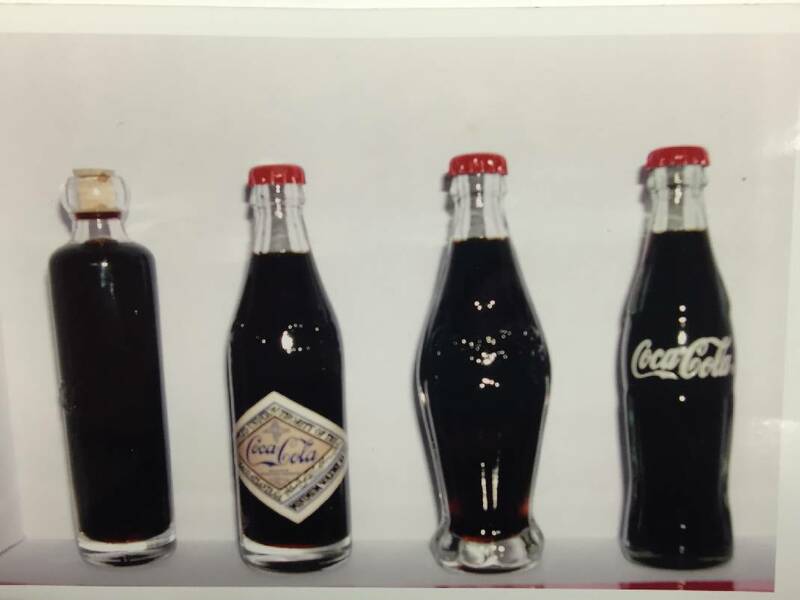 The Coca-Cola Co. in Atlanta wanted its bottle to be unique. Its original bottles were flat-sided and easily confused with rival beverages. In 1914 the Root Co. of Indiana came up with a new design, intending to make the bottle in the shape of one of Coke's ingredients. By mistake the company shaped it like the cocoa bean (the source of chocolate), which was not an ingredient. This gave the bottle its feminine hourglass shape with fat side ribs. The original design gave the bottle a larger curve (or a more voluptuous shape). It was later slimmed down for easier manufacture. This new bottle was introduced in 1914 but wasn't in exclusive use until 1921. The delay enabled the bottlers to use up their inventory of flat-sided bottles. Today, we see Coke as a food. However, when John Seth Pemberton devised the drink in 1886, he sold it as a tonic or patent medicine. This was good business, as Atlanta in the 1880s was seen as the patent medicine capital of the world. After Candler bought the formula, he advertised it as a brain tonic good for relief of headache and fatigue. He continued to push Coke as a patent medicine until the outbreak of the Spanish-American War in 1898. The government then began to tax patent medicines, so Candler managed to have Coke reclassified as a food. Lastly, about the connection of cocaine to Coke. This connection is why "old timers" called Coke "dope." In a 1901 trial, the government ruled that the amount of cocaine in Coke was insignificant. That may have been true by 1901, but I suspect that Pemberton's original formula contained more than a trace. R. Smith Murray is a retired urologist. For more, visit Chattahistoricalassoc.org.